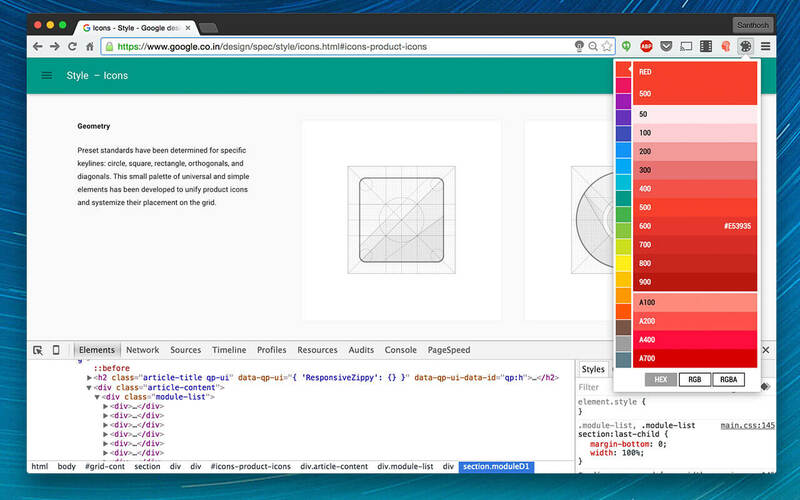 A no-nonsense palette for Material Design Colors that you can access right within Google Chrome without having to leave the tab, thus making your development process easier and faster. 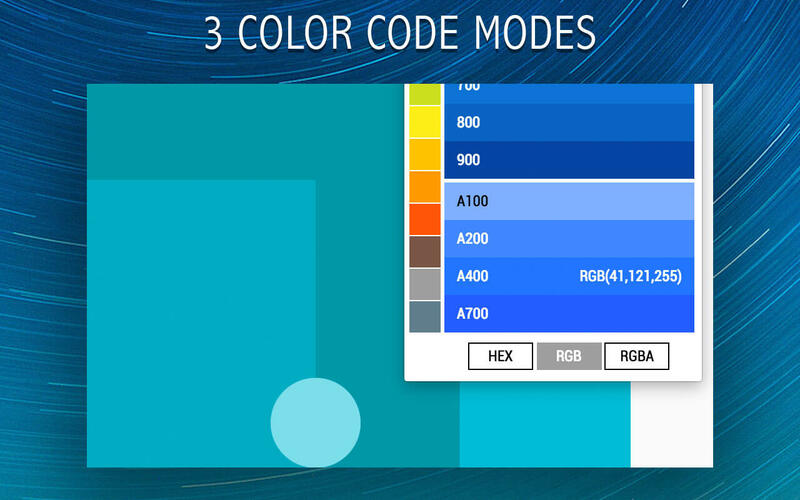 Color codes are available in HEX, RGB and RGBA formats that can be copied to the clipboard by clicking on the colors. The extension can also be used offline. Please find it on Chrome Web Store. PreviousUsing Google Material Design For Our Football App!